Our newest color addition, the blu inchiostro, this is a very beautiful transparent plum (purple) amethyst color over 24kt gold foil. The gold renders the purple a luscious bronze, which goes great with the bronze and pewter findings popular today. 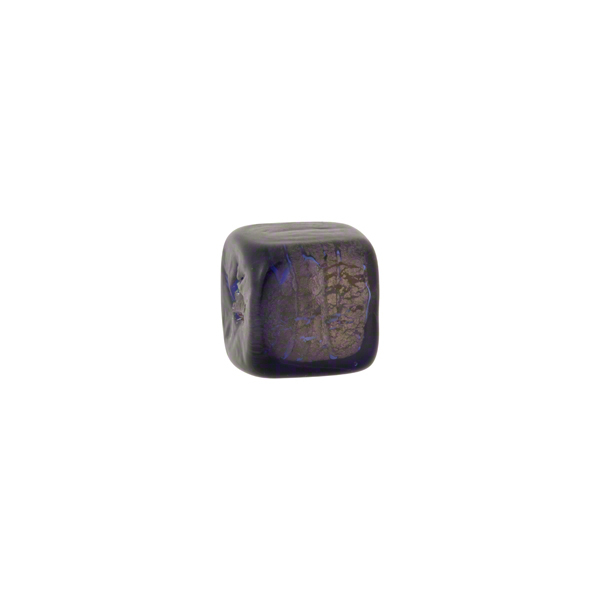 This authentic Murano Glass bead cube measures approximately 8mm by 8mm with a 1mm hole in the center..